Posted on 10/07/2016 by Mickey McCarter	in Live Review and tagged dj party, England, house, Little Boots, synthpop, U Street Music Hall. English chanteuse Little Boots made a rare visit to DC this week, launching a DJ tour that keeps her in the United States for the rest of the month. Despite her proclivity for pink, Little Boots is more than a pretty face! I have come to admire her ambition and her interest in all aspects of music production. Outside of three very smart full-length albums, the lady, born Victoria Hesketh, tours regularly as a deejay, and she owns her own label, On Repeat Records. And she’s a master of the synthesizer. On Wednesday, Little Boots visited U Street Music Hall to spin roughly two hours of house and disco. I think her selections informed her state of mind in preparing her own recent studio album, Working Girl. That said, her contemporary house selections were easy on the ears and inspired a small but dedicated crowd of dancers to be light on their feet. 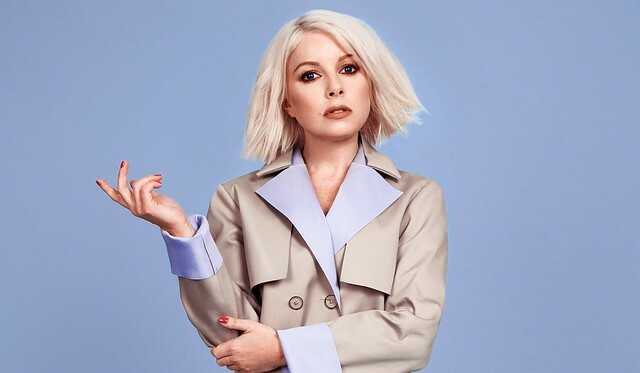 Throughout her set, Little Boots mixed songs such as “Coconuts” by Cajmere and Gene Farris, “The Way U Do It” (Doc Daneeka Remix) by Tito Wun, and “Strandbar (Disko)” by Todd Terje. My favorite moment of the set was when she seamlessly went old school with 1980’s “Stomp” by The Brothers Johnson — such a great tune that I’ll surely pay more attention to in the future. She followed that up with her own “Headphones (Moon Boots Remix),” pleasantly adding her own live vocal over a line at one point. More of that please, Ms. Little Boots! It’s a clever way for a singer to add a bit of warmth and character to a DJ set. Later, Little Boots played groovy tracks like “Keep on Talking” by Tensnake and “Clouds (Purple Disco Machine Remix)” by Martin Waslewski. I could have stuck around all night, pleasantly adrift in her ear’s adroit choice of pleasing house tunes, but I had to call it a night halfway through. Don’t make my mistake: Stick around for the rewards of a full Little Boots DJ set! Tonight, Oct. 7, she’s in Syracuse, NY, and she caps it off Oct. 29 in Chicago at the Virgin Hotel. (New Yorkers, see her on Oct. 20 at House of Yes!) See her full tour schedule and buy tix at Songkick. Little Boots, DC loves you! We hope to see you again soon, whether DJing or performing live.